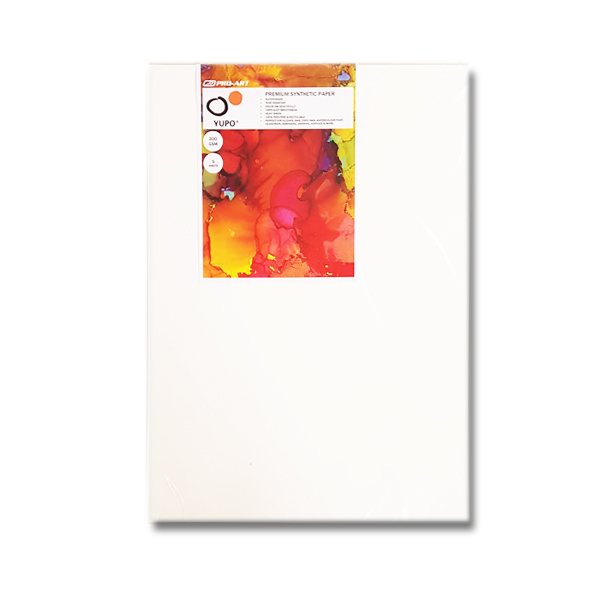 Yupo premium synthetic paper made of 100% polypropylene offers a unique alternative to traditional art papers. It has the advantage of being non-absorbent so colours lie on top of its surface producing brilliant vibrant effects. Yupo requires no soaking, stretching or taping flat. Suitable for Mixed Media, Alcohol Inks, Pen and Ink, Airbrush, Acrylics, Collage and Pencil. The package contains 5 sheets of smooth 200gsm Yupo made of 100% polypropylene. Acid free. Perfect for alcohol inks, Copic inks, watercolour paint, silkscreen, debossing, drawing, acrylics and more.